I’m not sure what to think about this. It’s one of my long time wants but the compatibility and weird things like mod coloured 1u pipe key are a turn off. Wish there were some blank space keys as well. What do you think? Is it a bad copy or do you get it cause who knows when SP will run it again? 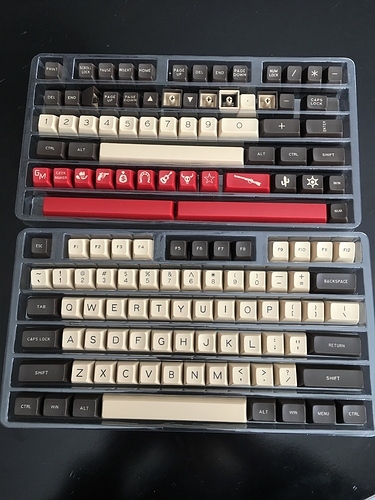 Signature Plastics started production of SA Retro (the original, designed by Matt3o) last year, and they’ve been making it in-between other custom sets. With yours and Matt3o’s response I’ll be holding off for the real deal. Still sure is tempting but let’s just hope SP makes enough sets to satisfy everyone who’s been waiting! I’m waiting for SP Retro as well. 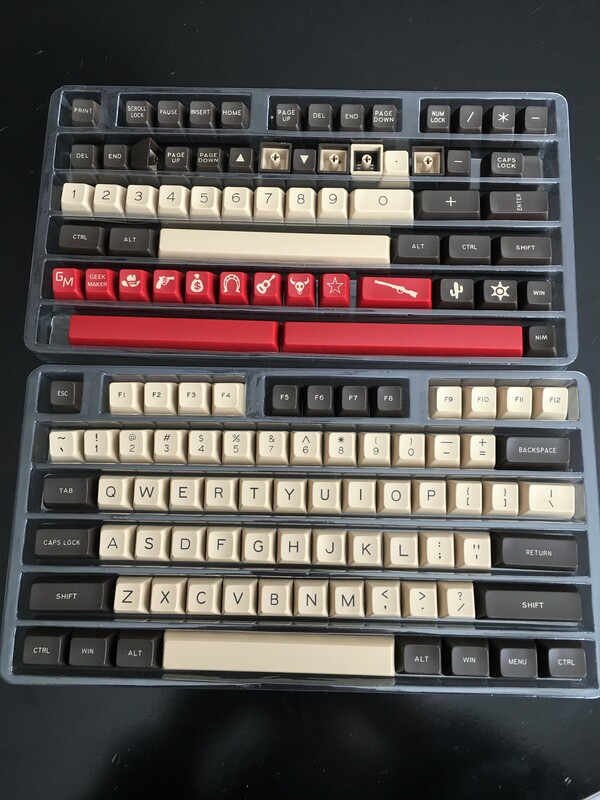 Maxkey’s version lacks a fully brown set (more faithful to the Commodore 64). It also lacks the PETSCII front legends. So it’s a no go for me. I agree, without the PETSCII front legends this set is a no go. 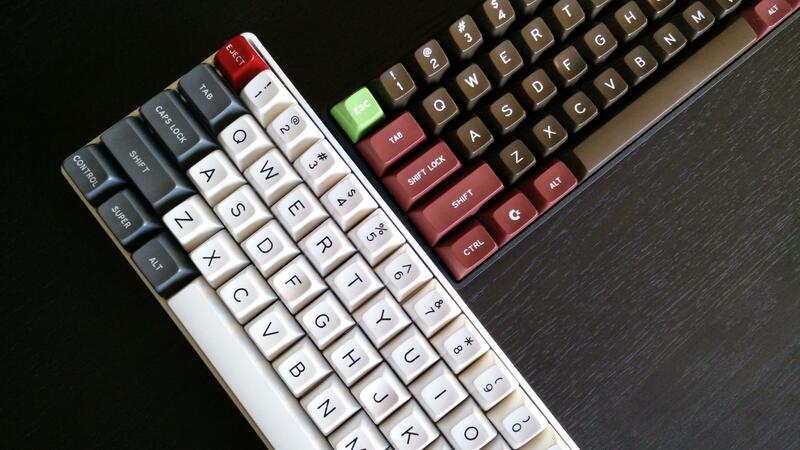 There’s not a lot to love for Maxkey sets these days. 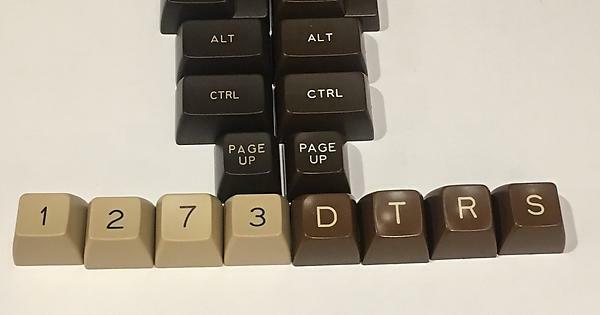 So I have Chocolatier, Filco SA brown, and Maxkey Western. Need SA Retro ASAP. 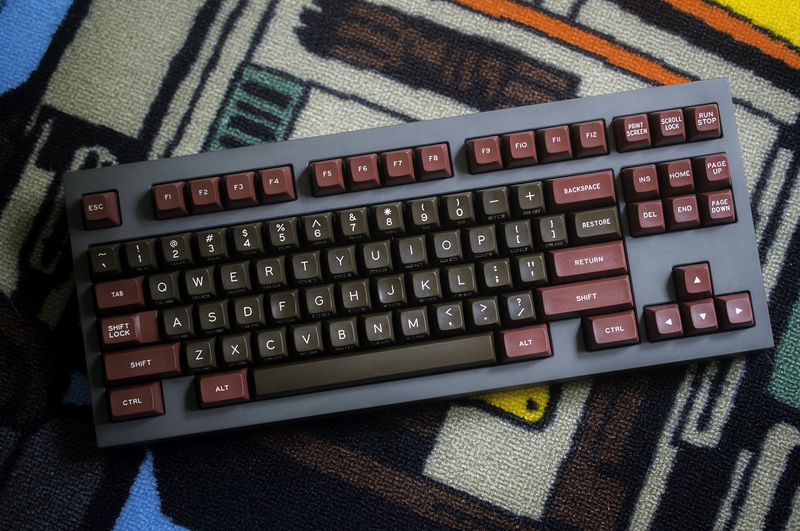 Also, someone rerun DSA retro please. Thanks. @pixelpusher How brown are the mods? 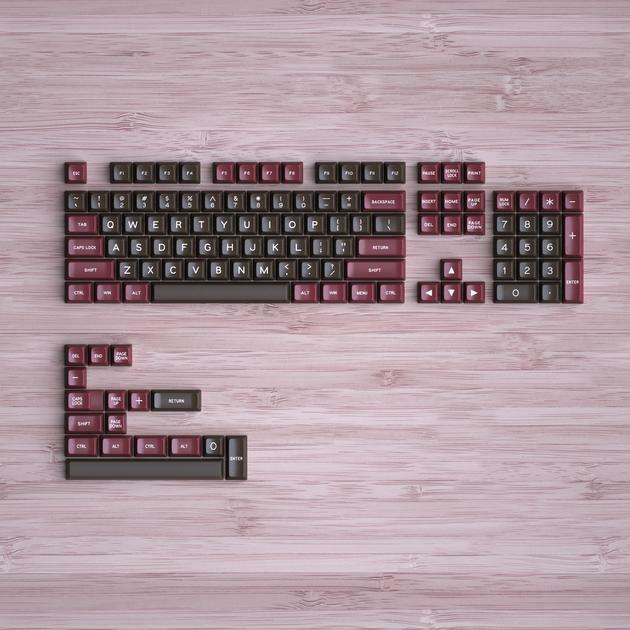 Is the color similar to SA Chocolatier? Took some pics for you. This is western (left side) vs cholcolatier (right side). Modifiers are a tad darker and less saturated. Maxkey finish is matte and feels great. SP finish also feels good and smooth and is shiny. Thanks for adding more pics. Your description seems spot on. Probably gonna buy these. Thanks again!